Tom was one of my all time favorite people and my life is better for having him in it. I will miss him, he lived, loved and played hard. Say hi to my brother for me Uncle Tom. See you in the next life, my love goes with you. Tom was a great man and quite a character, he will be greatly missed by those who knew him.. my condolences to his family! 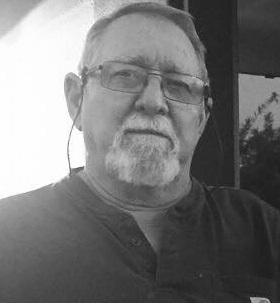 I was lucky to be his neighbor the last 30 years or so and he was always there for me and my family and we shared a friendship and we watched each other’s property if we are ever away! Many great memories and was thrilled the day he moved in next door. My wife and I will miss him as both a friend and the best neighbor we have ever had! A great Man and a great friend! I Worked with Tom for many years . We drove redi mix together. A good man . RIP Tom. I have many good memories of Tommy. He is one of a kind and will be missed. He was always so much fun! Will always remember that he gave me my first taste of alcohol. Peppermint Schnapps. I think of him every time I drink hot cocoa. Tom was like a brother to me. He will surely be missed. There will never be another Tom. RIP my brother,you are loved deeply,SHU !! RIP Tom! I’ll have a red beer for you. You made the best! A wonderful friend and fishing partner! We had many great adventures, you, Greg and I.